If you are living in Dhaka city and trying to do start a small business then you are on right page. 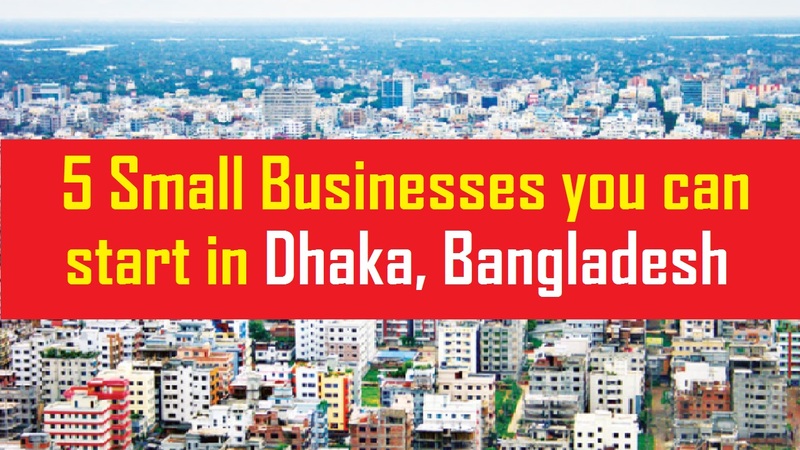 Here are 5 small businesses you can start in Dhaka, Bangladesh. Dhaka is the one of the mega city in the South Asia. The capital city Dhaka is now very crowded with near about 20 Million people. Here are the most profitable small businesses you can start in Dhaka with a small investment. Laundry business is a profitable small business idea to start your own business. There are lots of competition for laundry business in every area in Dhaka. So if you can manage home to home laundry service then obviously it would be a great business. I know some people who are doing this business very successfully. The corporate service holder will be your customers. You have to ensure good quality foods with reasonable price. At the begging, you have to make a business plan for your business. You have to choose a small area for the first time. While you will be successful then you can increase your business. Good quality food with reasonable price is the key to get early success. A small-scale grocery shop can be your future super shop. You can start a small scale grocery shop in your area. Before starting grocery shop you must to do market research and competition. This would be another great small business ideas for Dhaka city. More than 10,000 people are changing their house or office in a single day. You can help them to change their office and house. You can make a team who will help you. Some useful advertisement is required to get started. This is almost a risk-free business. I think, selling insurance is the hardest jobs ever in Bangladesh. So why I put this idea on this list? Because there is no profitable business like insurance selling while you are smart enough to communicate to others. There is more than 30 Insurance company in Bangladesh. You have to choose the best insurance company to start your business. I mention here insurance is a business because it is a commission based business. You will earn money while you make sales. The most advantage is you can earn lifetime from a sale. Another important reason is, you can consider it as a part-time or side business also.